This past year has been an incredible ride! I have had the honor of working as the principal photographer for Savvy.mn Magazine , photographing some amazing women in the Twin Cities! Savvy.mn is a FREE magazine to those who live in the SW Metro, or else $12 a year if you’re outside the zone. It is an awesome little magazine filled with fashion, style, what’s happening, and so much more! It’s definitely a must-read if you live in the Metro!! I work with some awesome women, including: Jennifer Sorenson, Publisher, Melissa Gilman, Editor, Jennifer Weber, Graphic Artist, Renee Fette, Graphic Artist, and of course we can’t leave out Mark Weber, the General Manager! There is an awesome event coming up ~ Savvy In The City ~ on May 6th. It will be an ultimate ladie’s night out!!! They also have monthly Savvy Soirees that you can attend for FREE, so be sure to check it all out! 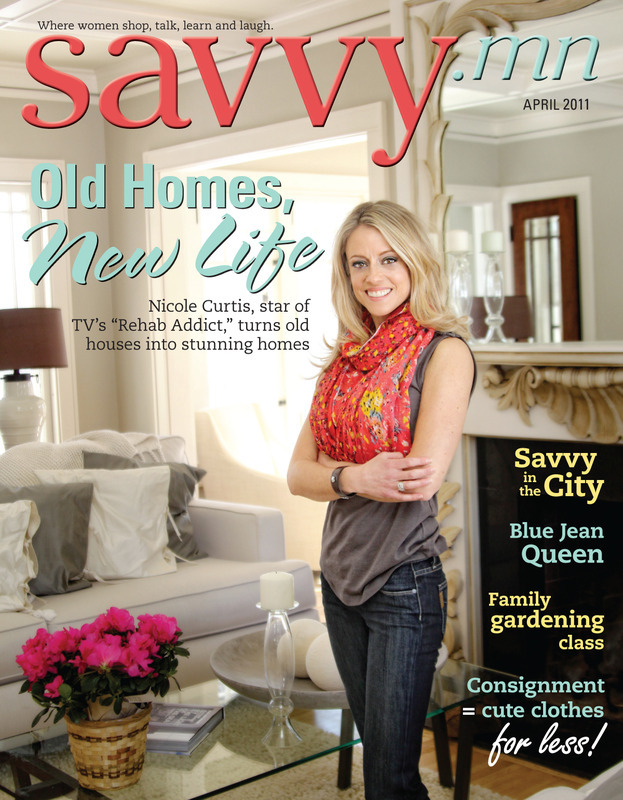 Below is the most recent cover photo I did for the magazine, featuring Nicole Curtis of the DIY Network’s ” Rehab Addict “. Be sure to check her show and the mag out! !